Chillicheeze Studios now has three fully equipped Photo studios available for hire in London. All three studios can accommodate a variety of projects, from still photography through to film shoots. Why Choose Chillicheeze for a Photo Shoot? Our fully equipped studios are industry recommended. Shooting space is large, ranging from 83 metres squared up to 700 metres squares. The studios can be configured to your needs, with professional lighting and colorama backgrounds available upon request. We are also renowned for being an affordable and professional photography studio hire in London with a range of options. We also offer camera equipment and prop hire to all customers. Our studios come equipped with light stands, triggers and sand bags, customisable industrial lighting and high ceilings, ensuring a stress-free studio to configure to your needs. We've worked with a number of globally recognised clients, as well as small teams and individuals, creating a photography space for all to enjoy. 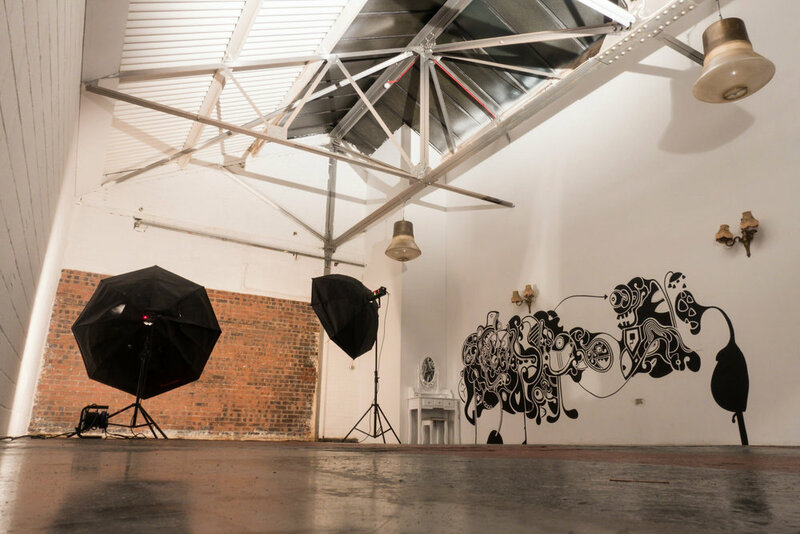 We offer some of the best photography studio hire West London has to offer, check our studios out below! Get in touch with our friendly team today for more information about our photography studio rental and to book your next studio hire! The Infinity Cove Studio is suited for those seeking a stage with a plain, single colour backgrounds. Ensuring product photographers can focus on defining their subject with ease. Our Infinity cove studio in London is ideal for model or product photography, an infinity cove studio gives the impression of an infinity of space without special effects or CGI. The room can be blacked out or repainted to suit your needs, ideal if you have a specific aesthetic or brand in mind. The studio is also available to hire for events, fitness areas or functions! A shooting space and makeup area are included too. Our blackout studio ensures there is purposely designed to ensure there is no natural light. The studio is ideal for video shoots or photo shoots with customisable lighting. It is also a great place to shoot videos. Our industrial themed studio includes 4 different backdrops, including an exposed brick and white breeze block wall. Ideal for photography shoots that require multiple settings. The room is fully customisable with four unique backdrops to give you a variety of creative spaces to shoot, without hiring extra rooms! This customisable room can also be used as a green room to allow your models and team to relax throughout the day. Copyright © 2019 ChilliCheeze Holdings. All rights reserved.